In my town, energy is sporadic. 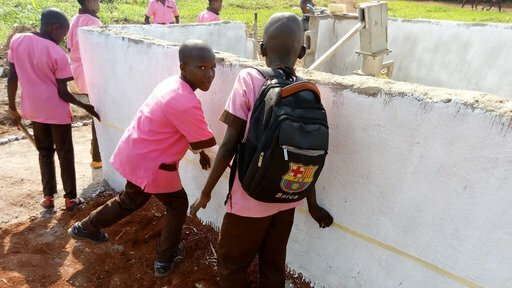 A great part of the community, including students in our school, get water from the electric pump. So when electricity goes off, so does water. For a school of over 1,000 students (our school), this is a big deal because there is no manual source of water on campus. Therefore, in the absence of a mechanical water pump, there is no other way to get water. This situation had been prevailing for a long time until my friends and I decided to take action. A friend of mine told me about a process called ABCD, or Asset-Based Community Development. Essentially, rather than begging for outside money, you make the focus asking for help within the community. So we did just that! Students gave a helping hand. As news spread across the community, donations became huge...! Some people even donated things in kind such as bags of cement and professional advice. People outside the community with loving hearts even began to invest as well, in solidarity with our community. In the end, there was not only enough to build a well but a fully functional mechanical water pump! Even the students volunteered to build it with the team! Today, there is a water pump for over 1,000 students and on its walls are written the names of everyone who helped. No name went unnoticed! Currently, the community is raising money to maintain the pump and treat the water. 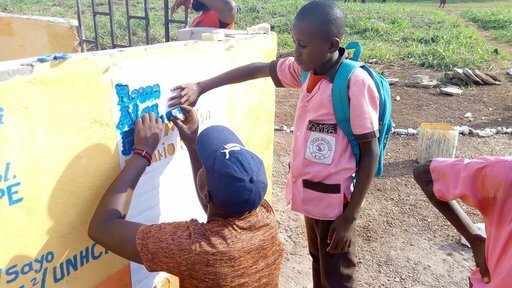 In our school, in addition to promote hand-washing and hydration, each class has purchased their own 20-liter containers for water and elected a WASH leader. Truly, it takes a community to raise a project. 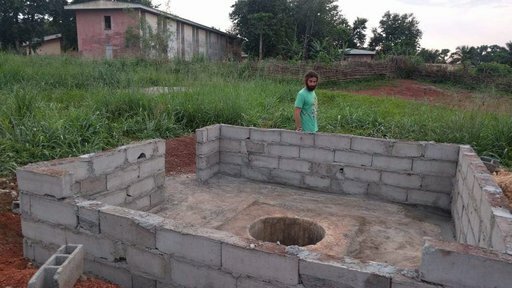 Alexander Schwartz, from Pittsburgh, Pennsylvania, is a science education Peace Corps Volunteer in Cameroon. He holds degrees in Engineering Science and Philosophy from Saint Vincent College. 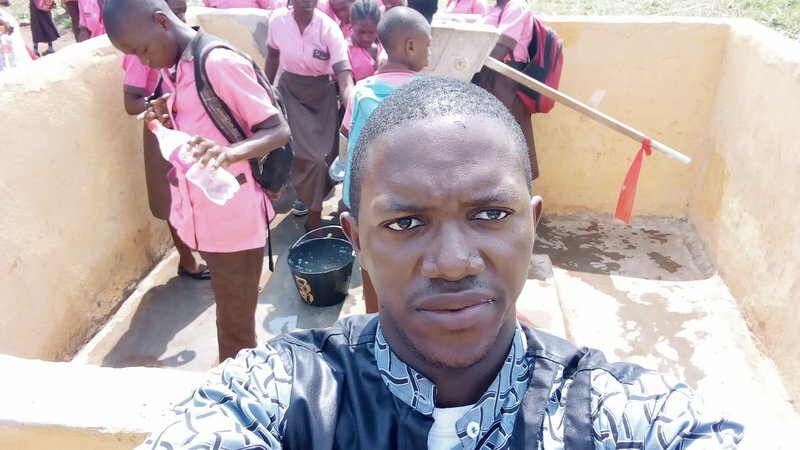 Outside of teaching Mathematics and Physics to Grade 6 and 7 students, Alex focuses on a number of infrastructure projects in his school and host community.